Successfully Added Car Digital TV Receiver Box - 1080p Support, Two Way Video Output, Wide Frequency Range, Multi-Language Subtitles to your Shopping Cart. With this digital TV receiver box for in your car you’ll never miss out on your favorite films and TV series while you’re traveling abroad. This car gadget is the perfect accessory to pimp up your car, RV, or caravan. Simply connect it to a TFT LCD car monitor, and you’ll be all set to enjoy your digital TV. Allowing you to store up to 1000 TV and radio stations, this car TV receiver box makes sure that you’ll always be able to find something interesting to watch. From now on, you’ll never have to worry about being bored again. This car accessory will keep you and your fellow travelers entertained throughout the entire trip. This car accessory supports 1080p media files. Therefore, you’ll be able to enjoy the latest Full-HD movies in absolutely stunning detail and vivid color. This will provide you with a cinematic experience anytime you turn on your car media player. Supporting 16:9 and 4:3 aspect ratios, this car digital TV receiver box lets you watch both traditional and widescreen movies without experiencing a loss in quality. Furthermore, it comes with a wide frequency range and bandwidth that provides you with free access to plenty of TV and Radio stations in a large part of the world. Thanks to its high-speed signal receiver, you can be guaranteed that this car media player lets you enjoy films and series in digital TV without experiencing any lag. 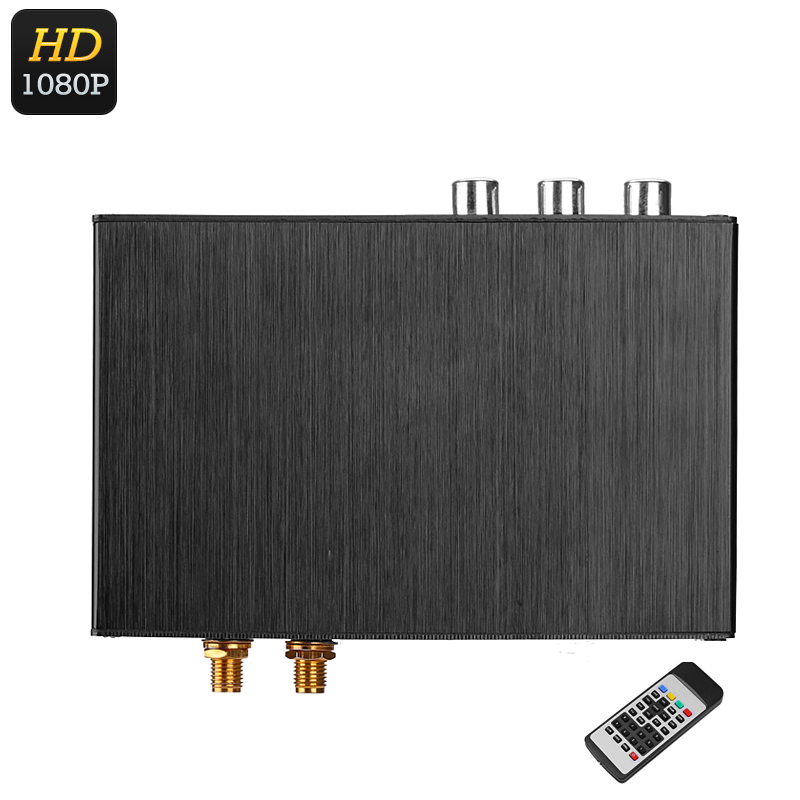 The digital TV receiver box can be controlled either through its remote control or via a touch screen. It furthermore supports multi-language subtitles so that you’ll be able to enjoy foreign media while traveling abroad. This digital TV receiver comes with a 12 months warranty, brought to you by the leader in electronic devices as well as wholesale car gadgets..
Arabic: - جهاز استقبال التلفزيون الرقمي - Chinese Simplified: - 数字电视接收机 - Czech: - Digitální TV přijímač - Danish: - Digital TV-modtageren - Dutch: - Digitale TV ontvanger - French: - Récepteur de télévision numérique - German: - Digital TV Receiver - Hebrew: - מקלט טלוויזיה דיגיטלית - Hindi: - डिजिटल टीवी पानेवाला - Italian: - Ricevitore TV digitale - Japanese: - デジタル テレビ受信機 - Korean: - 디지털 TV 수신기 - Malay: - Penerima TV digital - Norwegian Bokmål: - Digital TV-mottaker - Romanian: - Receptor TV digital - Russian: - Цифровой ТВ-приемник - Spanish: - Receptor de TV digital - Thai: - ตัวรับสัญญาณโทรทัศน์ดิจิตอล - Turkish: - Dijital TV alıcısı - Vietnamese: - Thu truyền hình kỹ thuật số.